Ernest Hemingway’s depiction of the unbelievable spectacle of the running of the bulls, the beauty of Pamplona itself, and the romance of the trip, made the city and its San Fermin festival a mainstay of bucket-lists. The 23-year-old Australian woman gored at Pamplona's Running of the Bulls festival over the weekend has been named as New South Wales resident Jessica Escarlet. Bilbao BBK Live is a popular add-on option with travellers to the Running of the Bulls at the San Fermin Festival in Pamplona. Ivan had never considered himself a traveller, until running with the bulls in Pamplona changed his life. 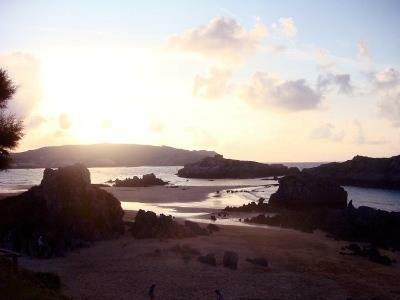 THE STORY: The perfect retreat for travellers looking for a more authentic slice of Spanish sun. 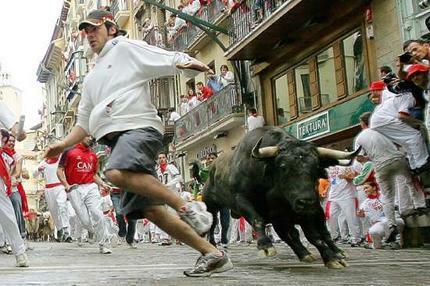 A young Australian tourist has been gored at Pamplona during the annual 'Running of the Bulls'. 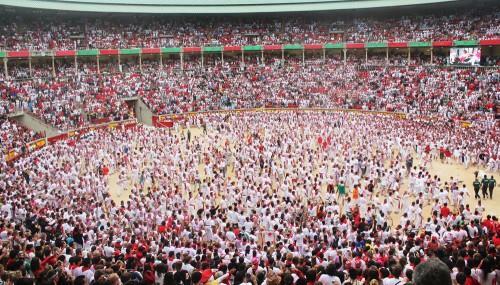 Pamplona in Spain has come alive with the Running of the Bulls for the San Fermin festival. One Aussie at the heart of the activities gives us a rundown of all the chaos. 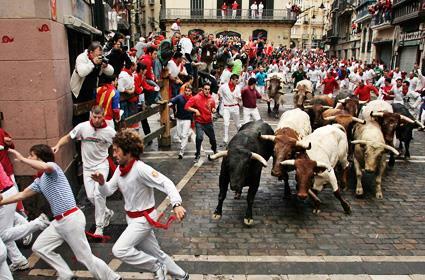 The federal government is urging Australians thinking about running with the bulls in Pamplona to think again. 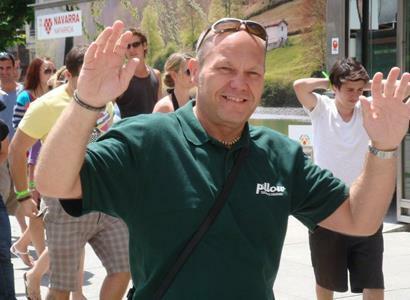 The family of an Australian seriously hurt during Spain’s infamous San Fermin festival in Pamplona are appealing to young travellers to exercise full caution, concerned about the risk that “anarchic and stupid” behaviour poses. An Australian teenager has become the first casualty of this year’s Pamplona Bull Run in Spain. 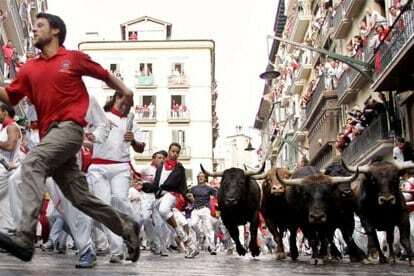 For seven days in July, the Spanish town of Pamplona goes wild for the festival of San Fermin; otherwise known as the infamous Running of the Bulls.